Pete Townshend will release an expanded 45th anniversary edition of his solo album debut, “Who Came First”, on April 20. 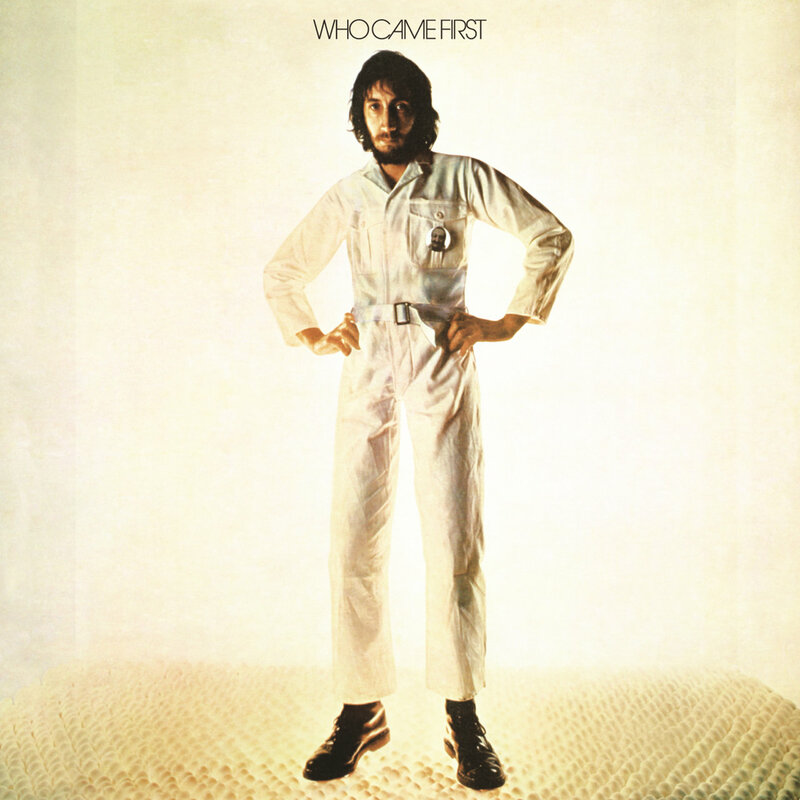 The 1972 project combined tracks from Townshend’s private pressings of his tributes to his spiritual guru Meher Baba – 1970’s “Happy Birthday” and 1972’s “I Am” – as well as demos from the unrealized concept album “Lifehouse”, part of which became The Who’s classic “Who's Next” album. The 2-CD expanded version of "Who Came First" features the original album’s nine tracks plus a second disc of eight previously unreleased tracks, new edits, alternative versions and live performances. The eight-panel tall-format digipak includes new sleeve notes written by Pete himself, plus the original poster from the 1972 release and a 24-page booklet with rare images of Townshend at Eel Pie Sound, his home studio in Twickenham and performing at Meher Baba’s shrine in India. The cover photo of Pete standing on 500 eggs was originally shot back in 1972 by Graham Hughes (who also photographed the cover of The Who’s “Quadrophenia” album) and has been restored and retouched by Graham for this new limited edition. “Who Came First” – which peaked at No. 30 on the UK album chart and at No. 69 on the US Billboard 200 – has been remastered for the 2018 reissue by Jon Astley, longtime collaborator of both Pete Townshend and The Who. Townshend’s expanded solo debut reissue arrives on the same day The Who release “Live At The Fillmore East 1968”, which captures the band live at the famed New York venue in the spring of 1968. 03. "Forever’s No Time At All"
06. "There’s a Heartache Following Me"